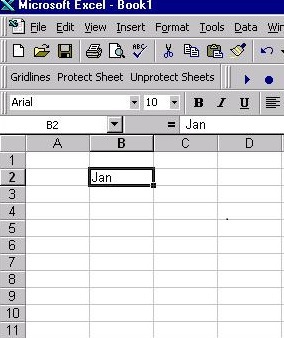 Excel has several Auto options that can speed up basic data entry. 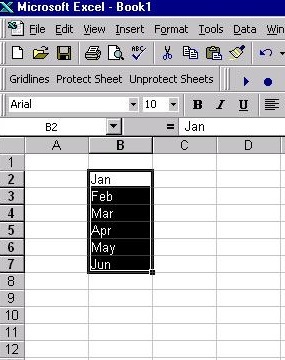 If you only want Excel to open one sheet at a time. Click on Tools from the Title Bar. 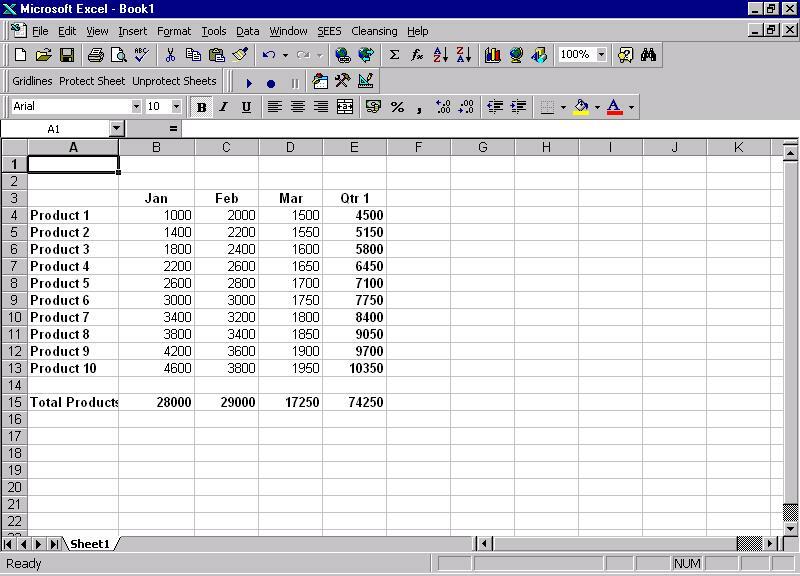 Click on the General tab and change the amount in Sheets in new workbook to 1. 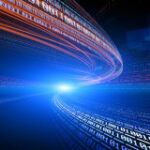 AutoFill can speed up entering data that forms part of a list such as months of the year or days of the week. 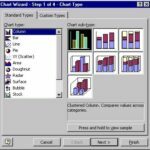 The method we will use is called a Filling Series and is accomplished using the Fill Handle found on the bottom right corner cell of the selected range. 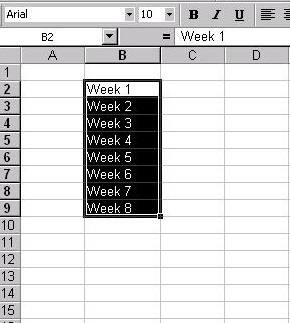 Select the cell containing the starting data. 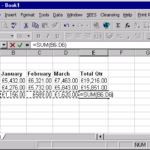 Move the mouse pointer to the bottom right hand corner of the cell to display the fill handle. 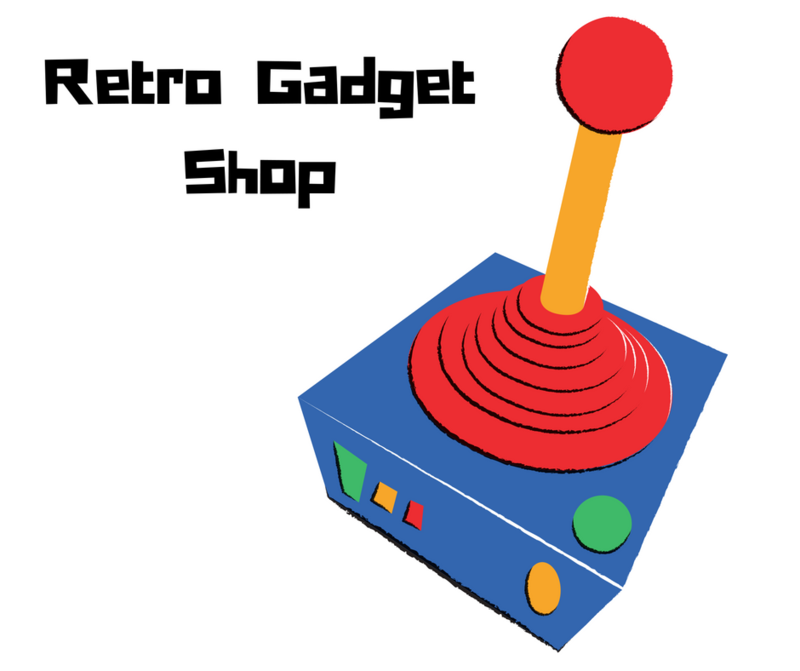 Hold the left mouse button down and drag down the column. 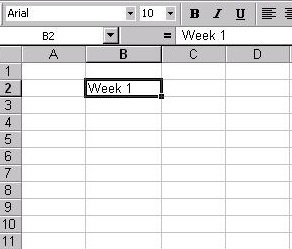 As you drag notice that Excel will show you what part of the series you have reached. Release the mouse and the series fills. 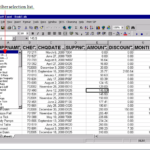 The AutoFill can be used with other data series. 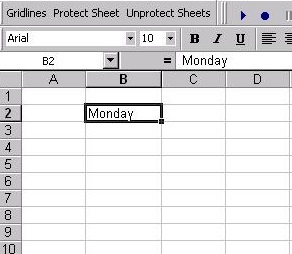 Enter Monday in cell B2 drag the fill handle to fill the series. 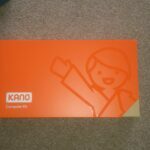 This will correct common spelling and typing errors. 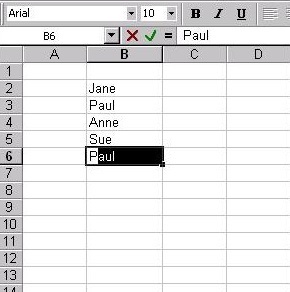 If the first few characters you type in a cell match an existing entry in that column, Excel fills in the remaining characters for you. 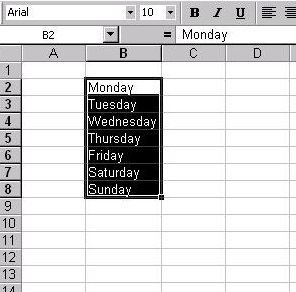 Excel completes only those entries that contain text or a combination of text and numbers, dates, or times are not completed. To change Paul to Peter, simply over-type the highlighted text. 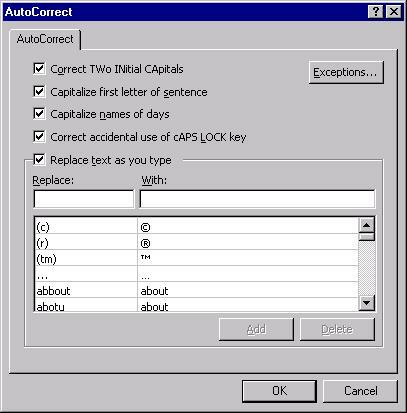 You can turn off AutoComplete using Tool: Options and deselect AutoComplete within the Edit tab. You can also select a list of entries already in the column. 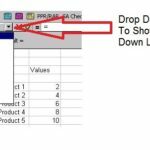 To display the list press Alt + Arrow down and then pick from the list. 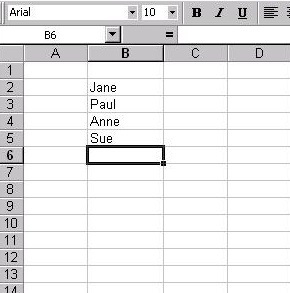 Create the following worksheet using AutoFill to speed up your entries. You should only need your keyboard a few times.